On November 17, 2009 we learned that our wonderful sheltie, Tia Maria (MACh3 Rock Island Wishin' on a Star AXP, AJP, NF, CGC, TDI) has an Acanthomatous Epulis tumor on her face. This blog will follow her treatment and road to recovery, and likely act as therapy for me! Tia has completed 10 radiation treatments and is doing well. I just spoke to Dr. Rosen, who said she got the culture results back. The results show that she has a "sterile abscess". It doesn't show any bacterial growth, which is good. She is going to remain on the Baytril (antibiotic) as well as the Tramadol (for pain). She has also just started taking Prednisone (a steroid) which will act as an anti-inflamatory. Being that this is her second week of treatment, this is when they expect to start seeing some side-effects of the radiation. I have also been instructed to do warm compresses on the tumor site 3-4 times a day over the weekend. She still has a small hole in her mouth where we want the infection to continue to drain. I asked if they have noticed any signs that she is in pain. She said not really, because Tia is such a tough girl, but she asked the staff and they said they have noticed she isn't eating as fast. Ok, THAT is DEFINITELY a sign that she is in some discomfort. They said she still likes her meals though. Duh! That dog LIVES for food! Dr. Rosen said if the tumor area is any bigger on Monday they may have to do a surgical debridement inside her mouth. If it is the same size or smaller we will continue treatment as usual. (Definitely hoping for the latter!) She also said we may need to do another CT scan. One day at a time! I'm glad that week 2 is over! 1 more to go. Fingers crossed that her tumor doesn't get bigger over the weekend. Steady as she goes. Sounds like she is making progress. Monica Land Stathers has been breeding shelties since 1999, and mainly trains and shows in performance venues. She is an AKC Agility Judge and has earned multiple MACh agility titles on her dog Tia (1998-2012), as well as training and showing a variety of dogs/breeds over the years. She is currently training and showing Libby, a Golden Retriever. Ani, her youngest sheltie, is also in "basic training". 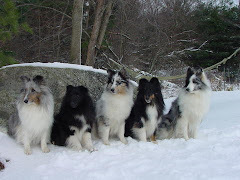 Monica is an AKC Breeder of Merit, a member in good standing of the American Shetland Sheepdog Assoc., Western MA Shetland Sheepdog Club, Tri-State Shetland Sheepdog Club, Southern Berkshire Golden Retriever Club, LEAP Agility Club of Central MA and Talcott Mountain Agility Club. 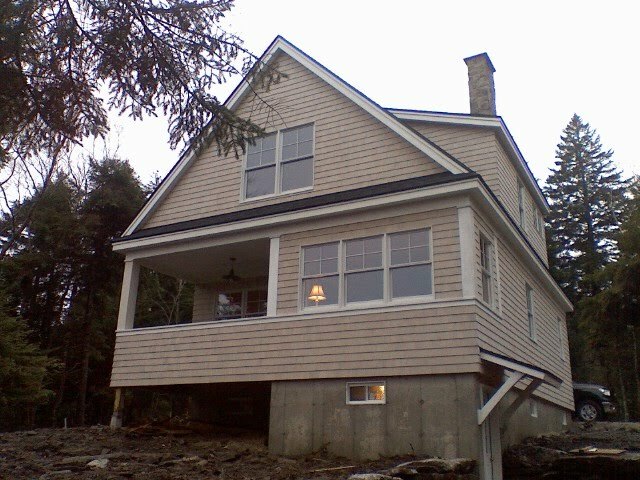 She and her husband Rick live in Ellington, CT and summer in New Harbor, ME. Find Toto - bring your lost pet home!